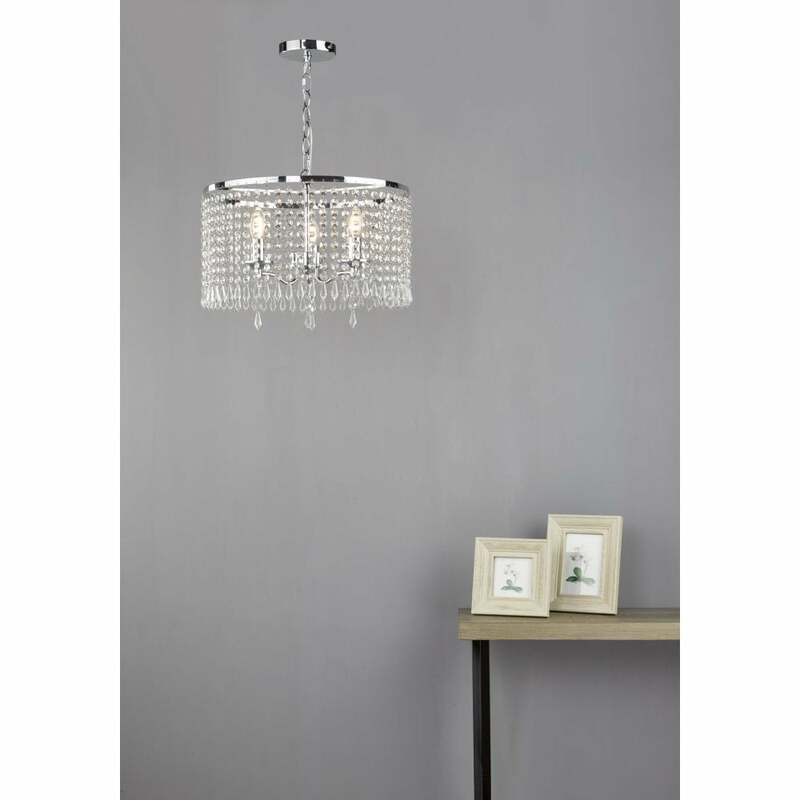 Dar Lighting Jocelyn 3 light ceiling pendant features a circular design ceiling plate with decorative chain holding a circular shade all in polished nickel finish, with strings of faceted crystals around a 3 light chandelier. The product code for this Dar ceiling pendant is JOC0338. This stunning design will be an eye catching statement piece for any rooms within your home and provides a sparkling display of light when both switched on and off. A wide range of crystal glass pendants can be viewed on our website.